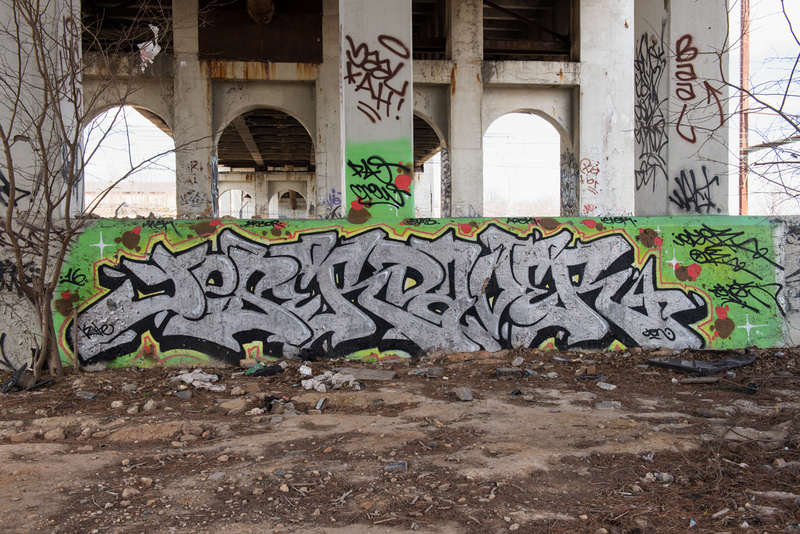 Under the arches trackside it was full spray ahead. 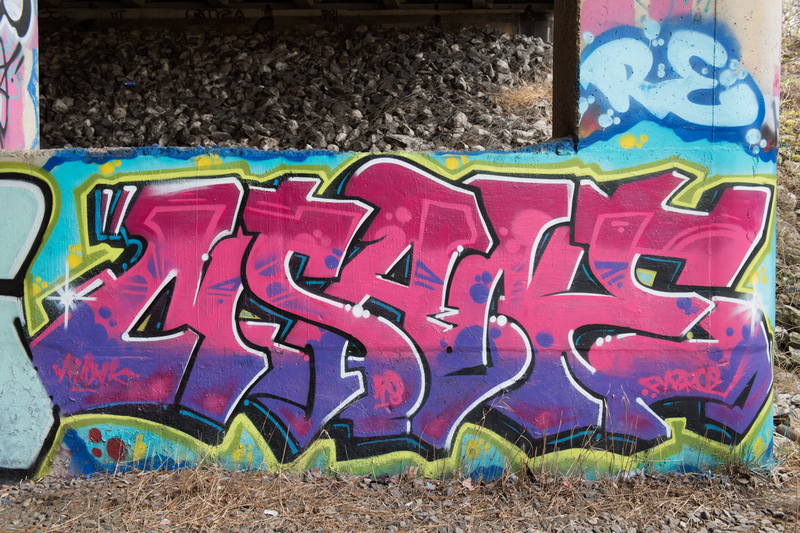 One almost needed a conductor to catch all the action. 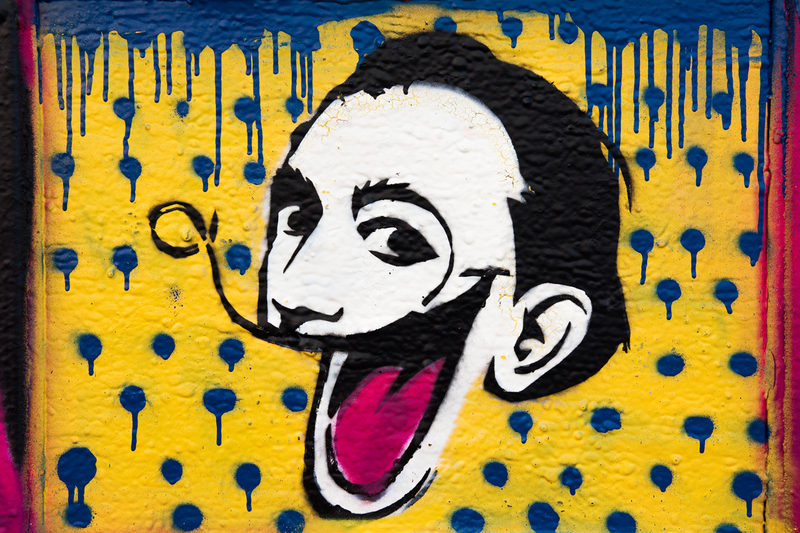 Salvador Dali or Mickey Dali? 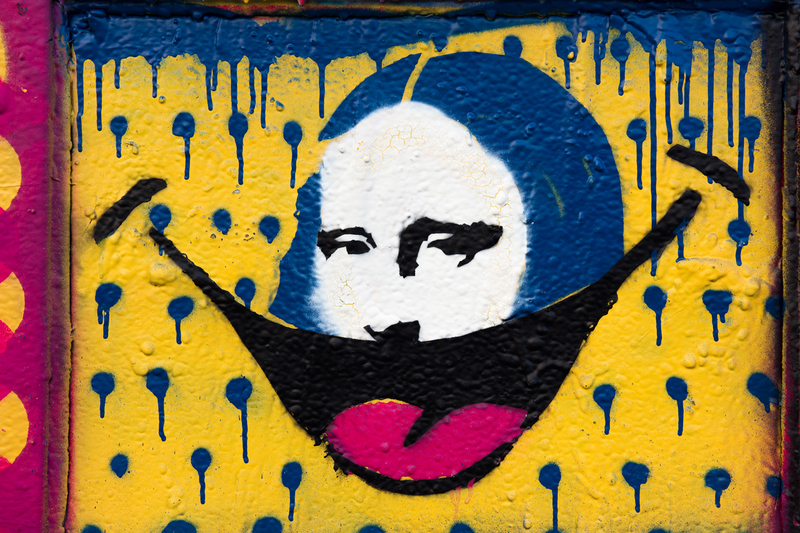 Mona Lisa or Mickey Mona? 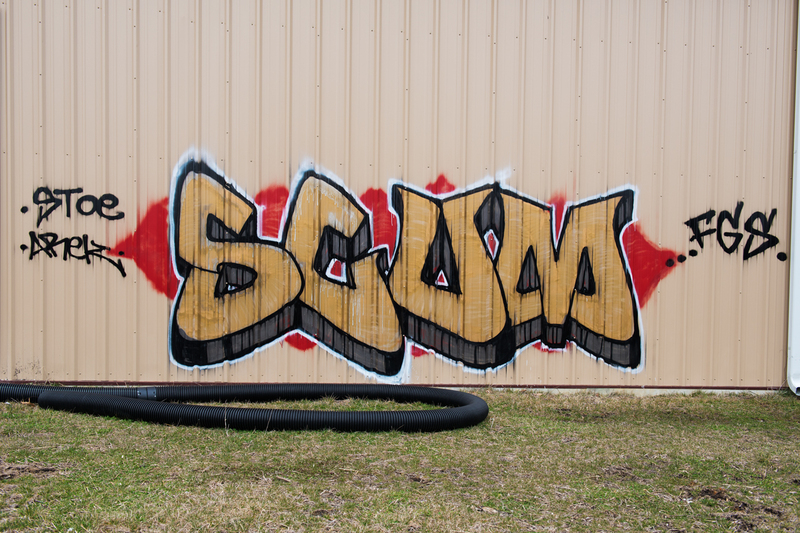 Charm City Streets drove past this site for many weeks before finally discovering a way to “shed” light on these remarkable, eye-catching pieces by Scum and Walt. 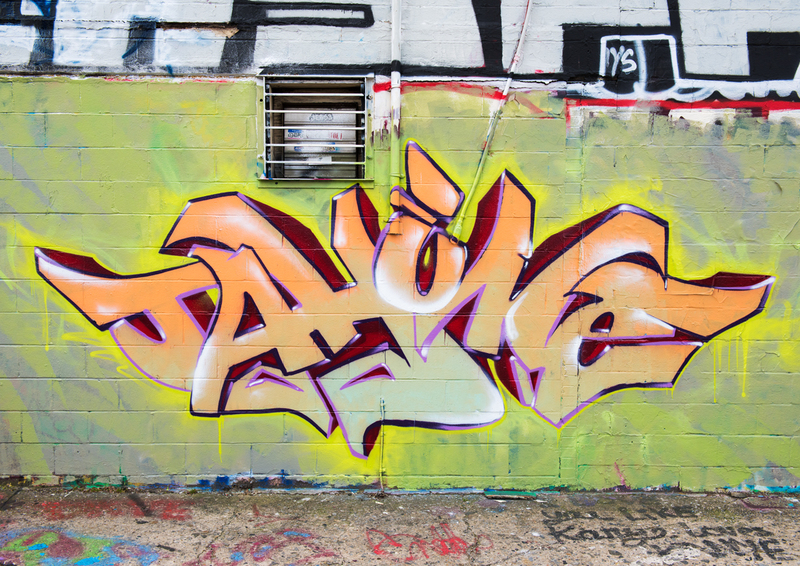 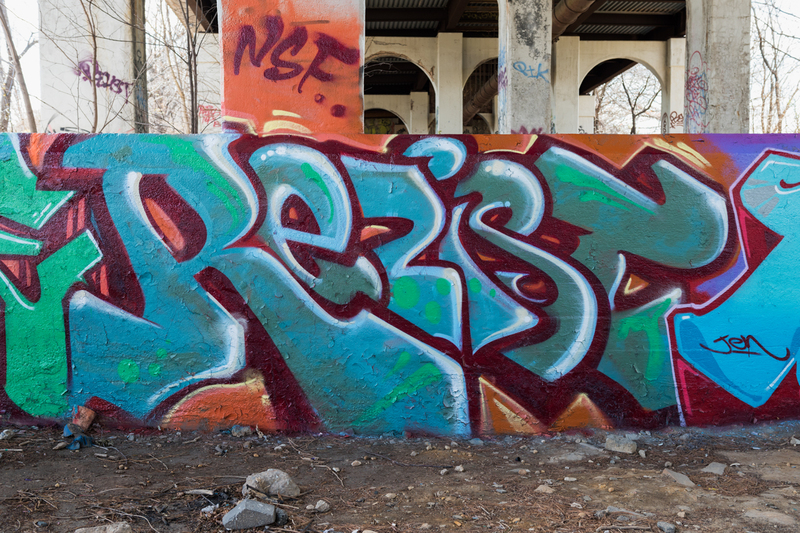 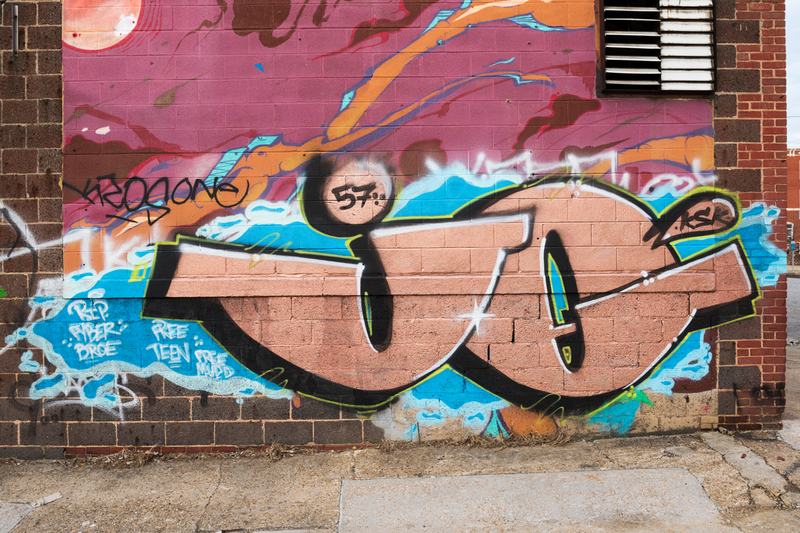 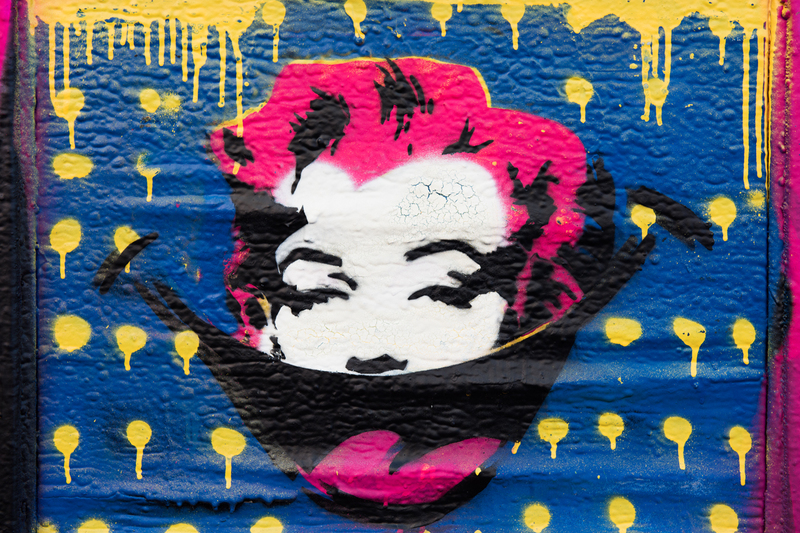 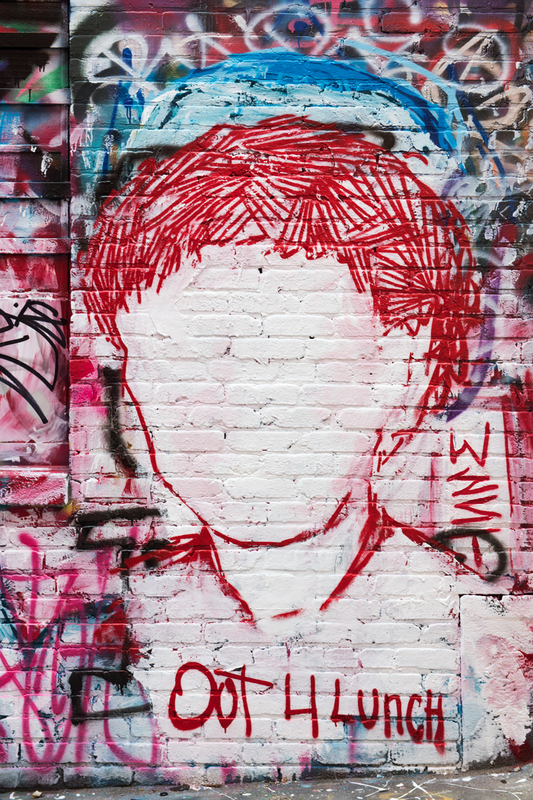 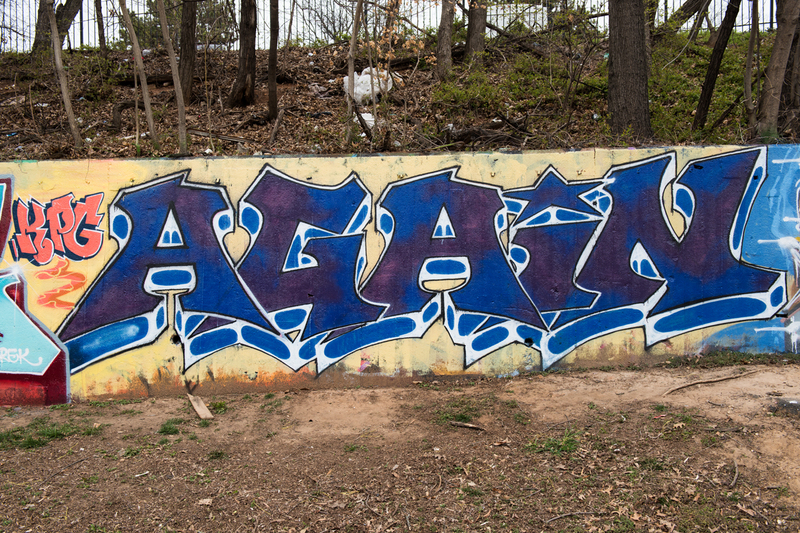 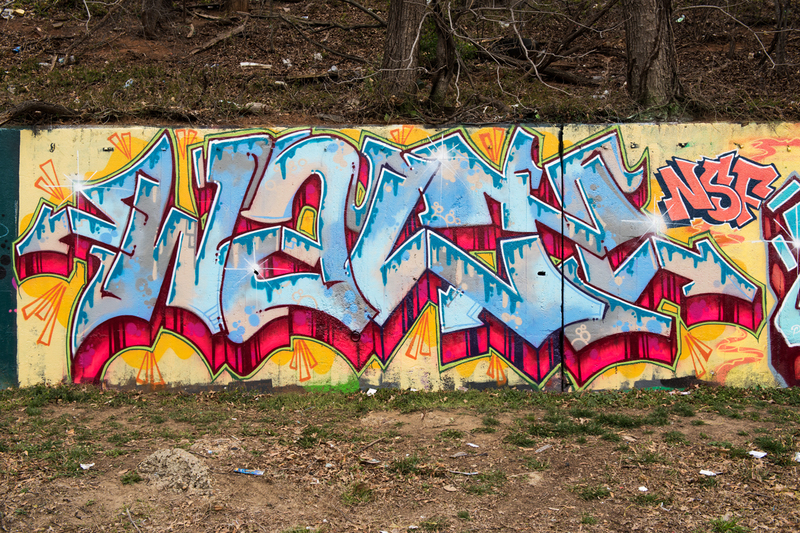 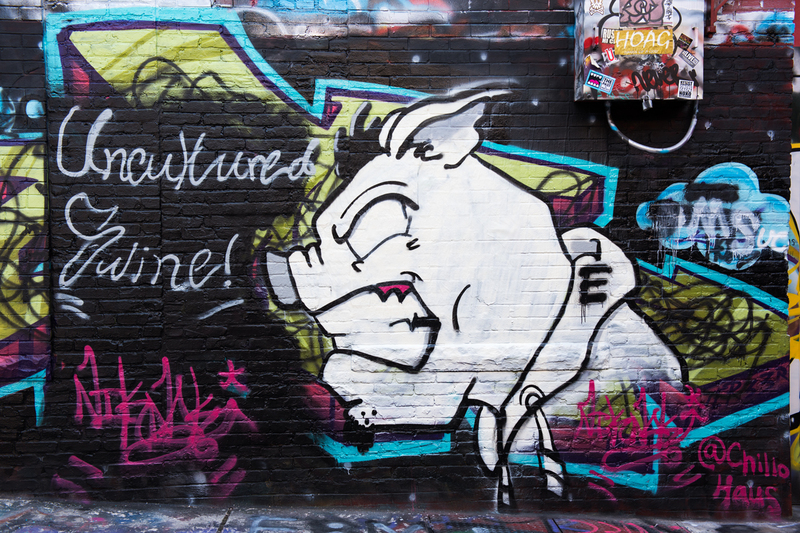 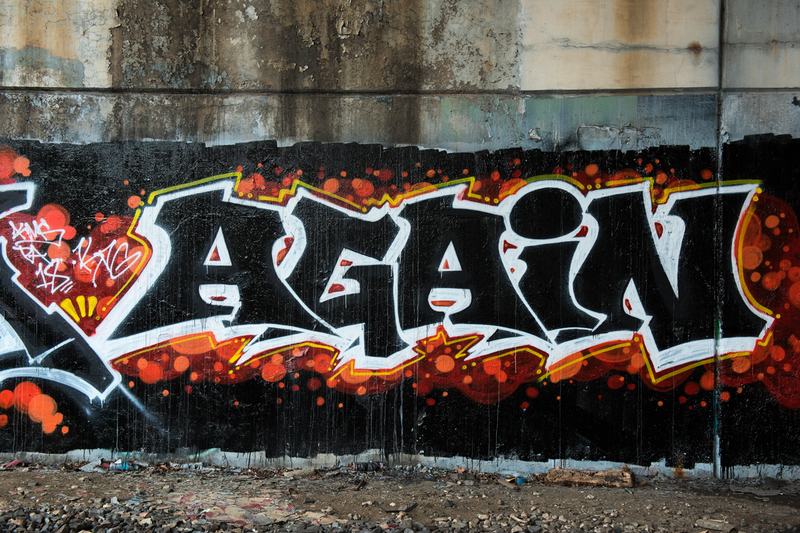 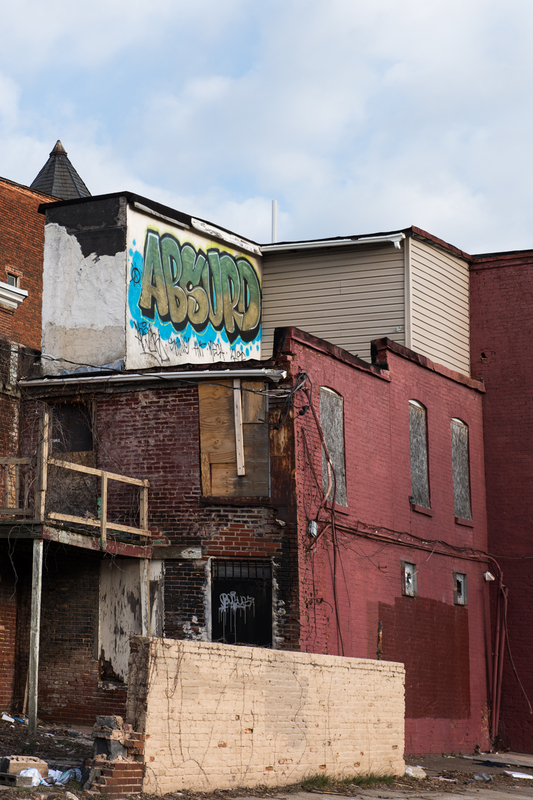 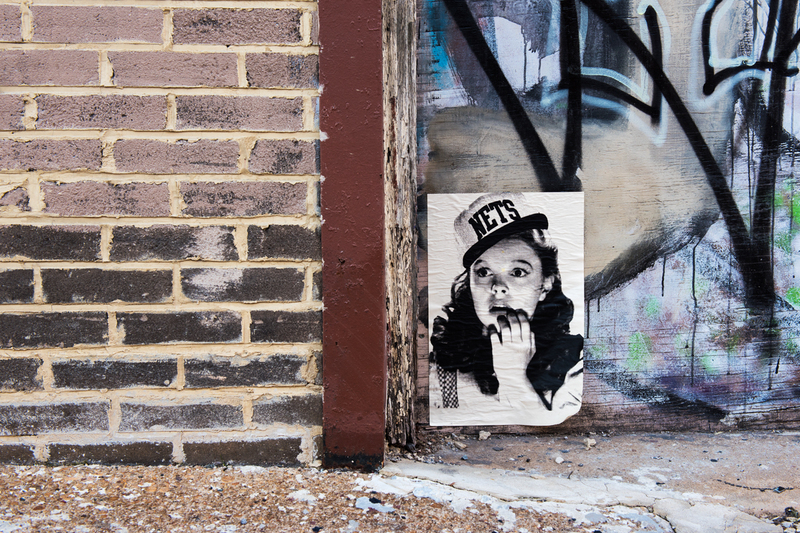 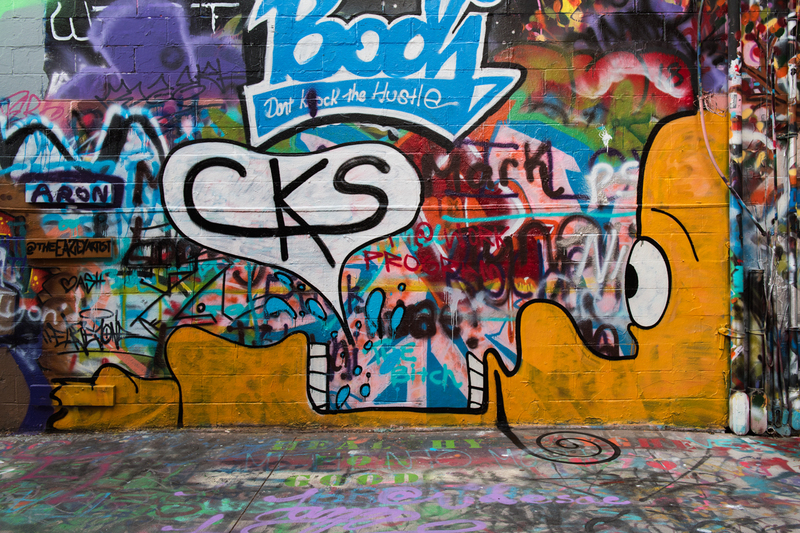 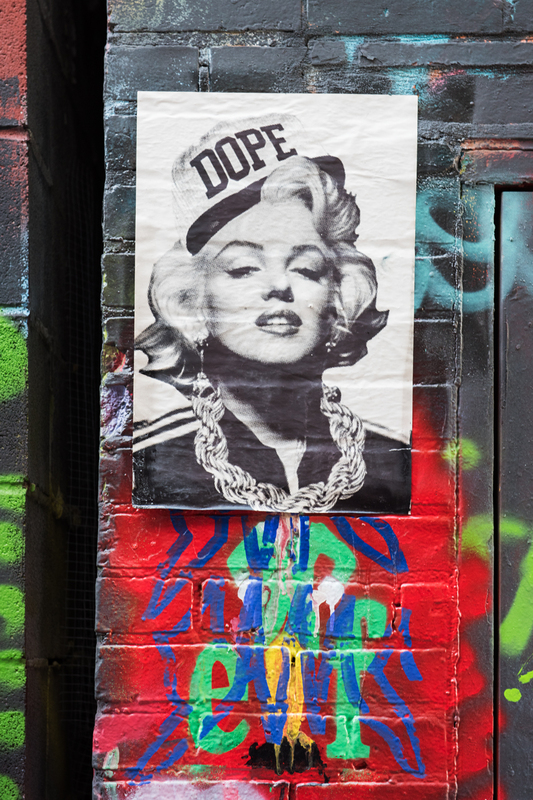 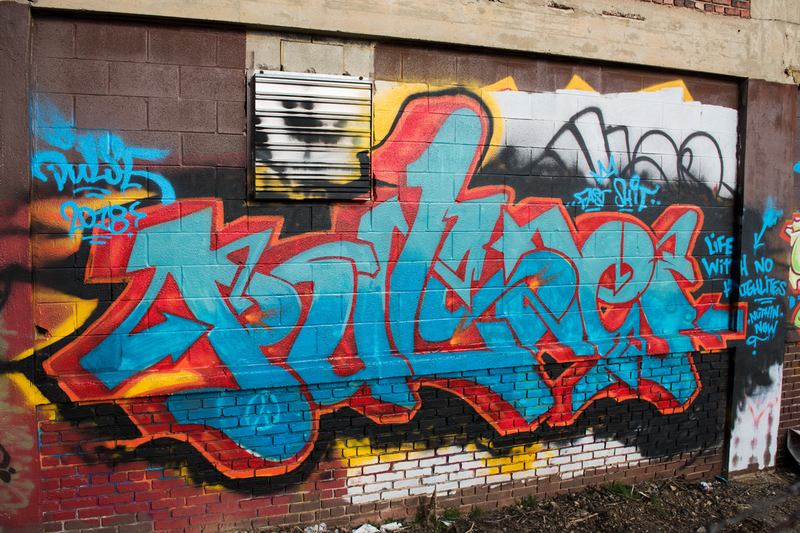 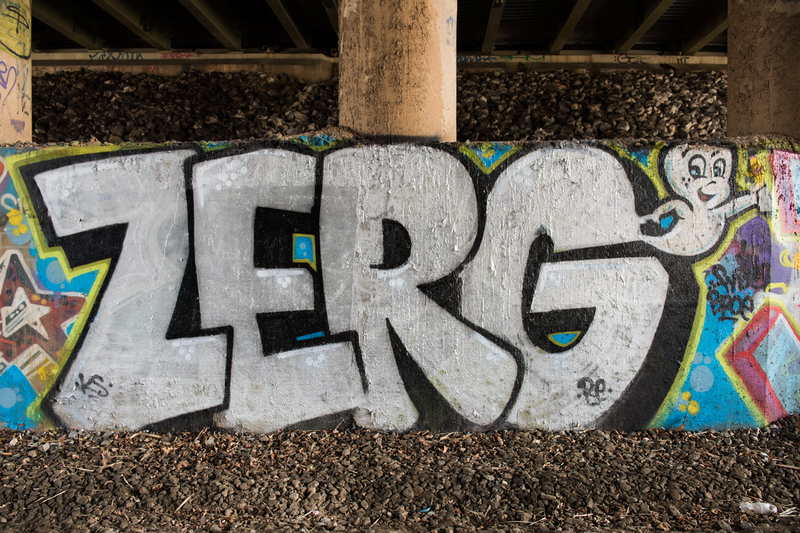 These Baltimore writers burned up the walls during March Madness in DC. 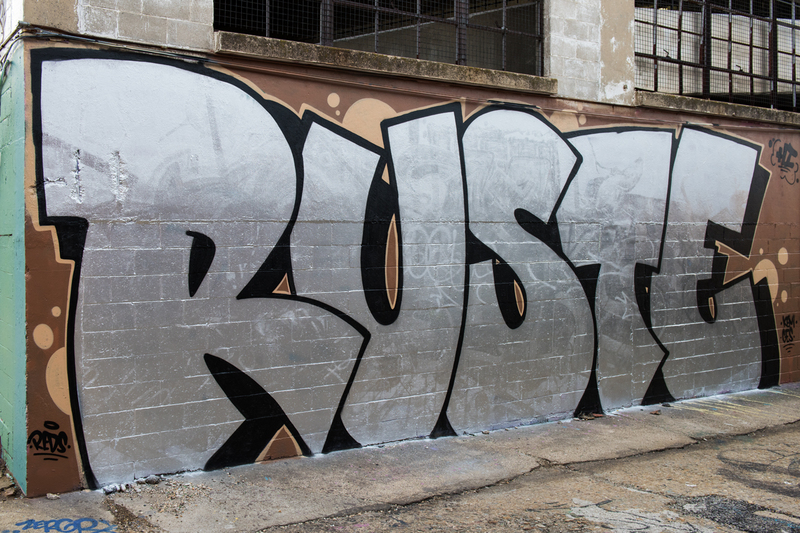 Catch the full report here. 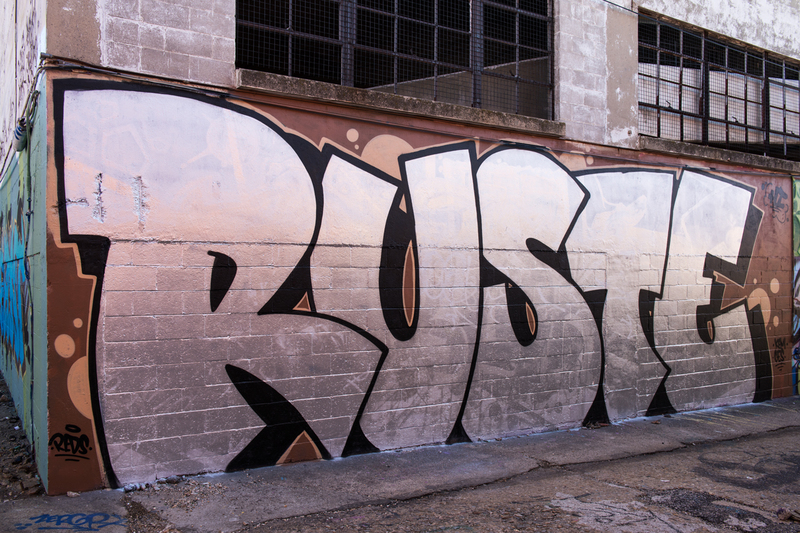 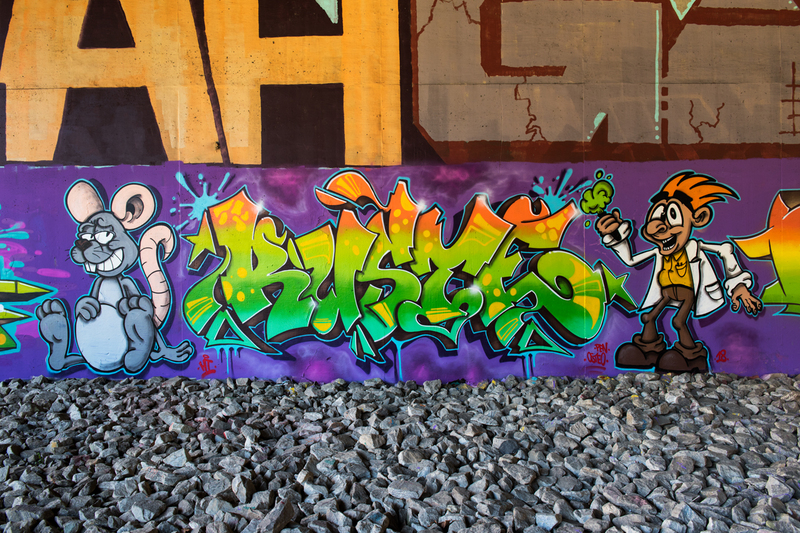 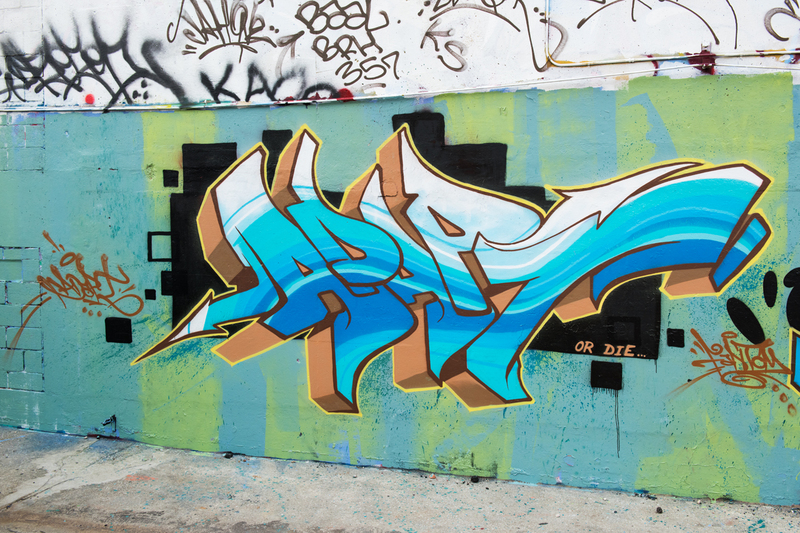 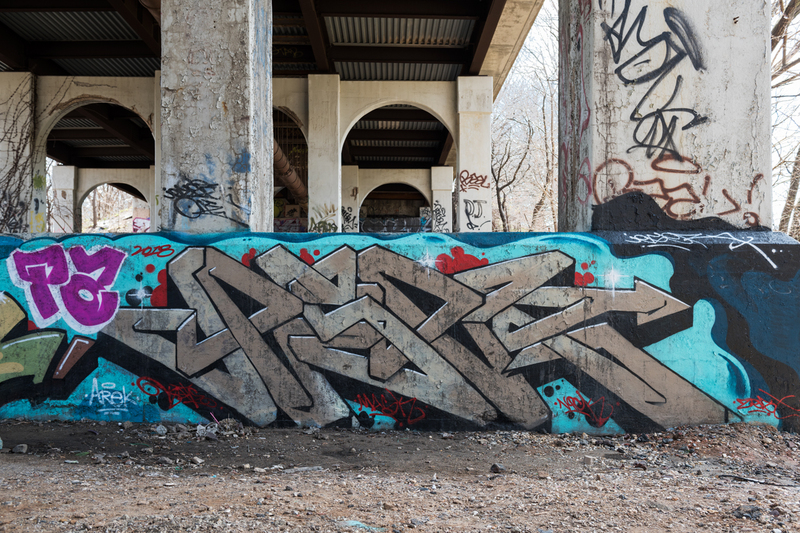 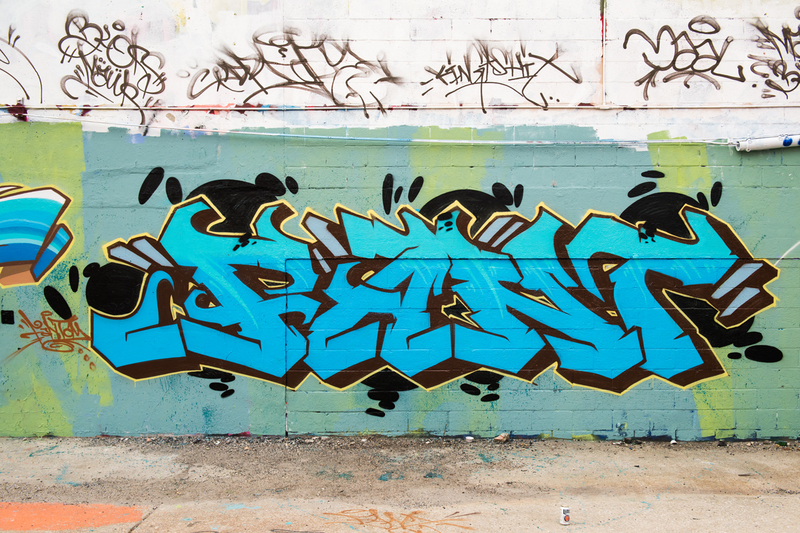 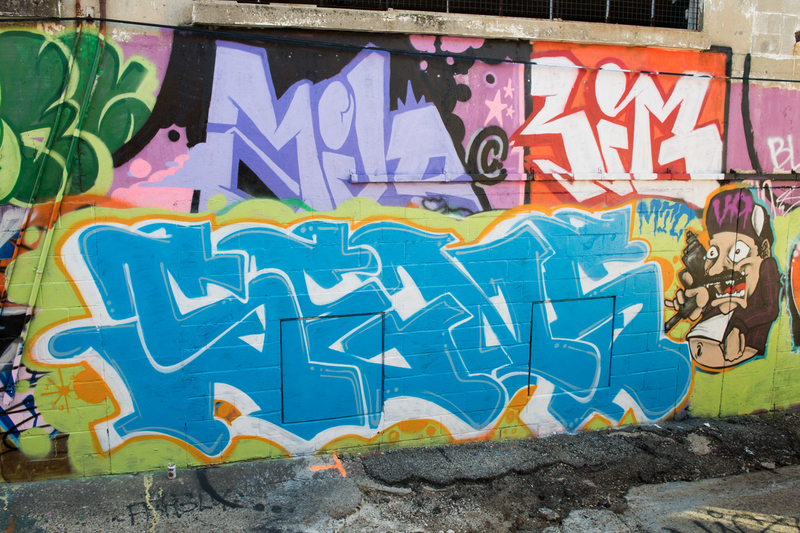 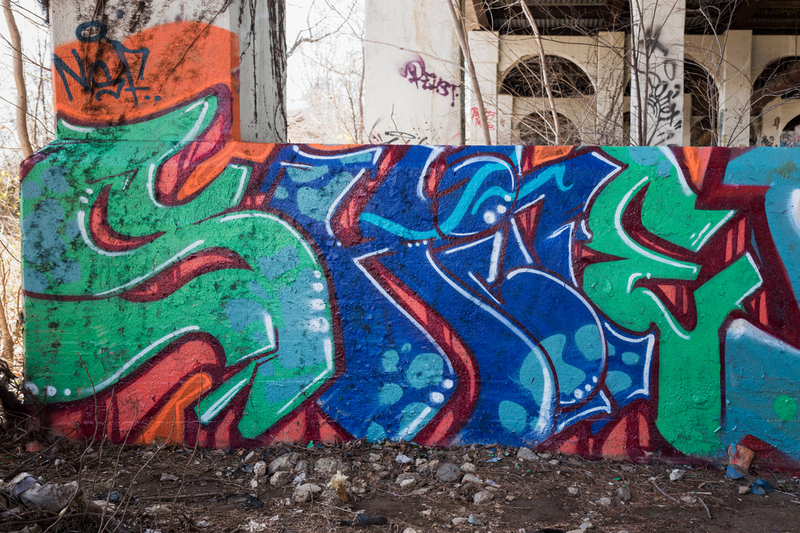 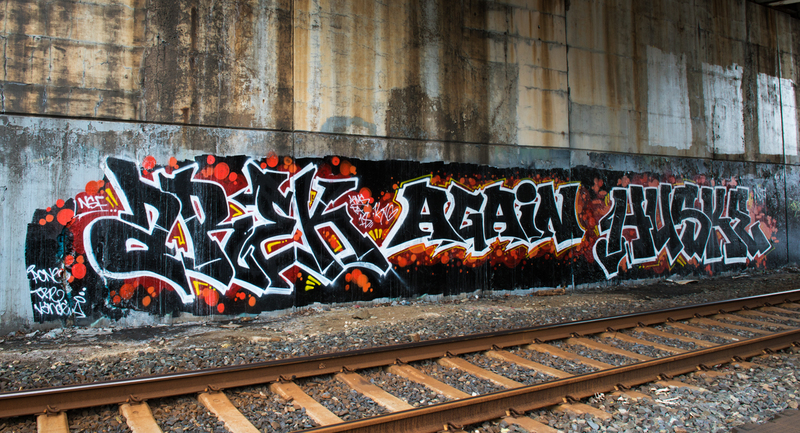 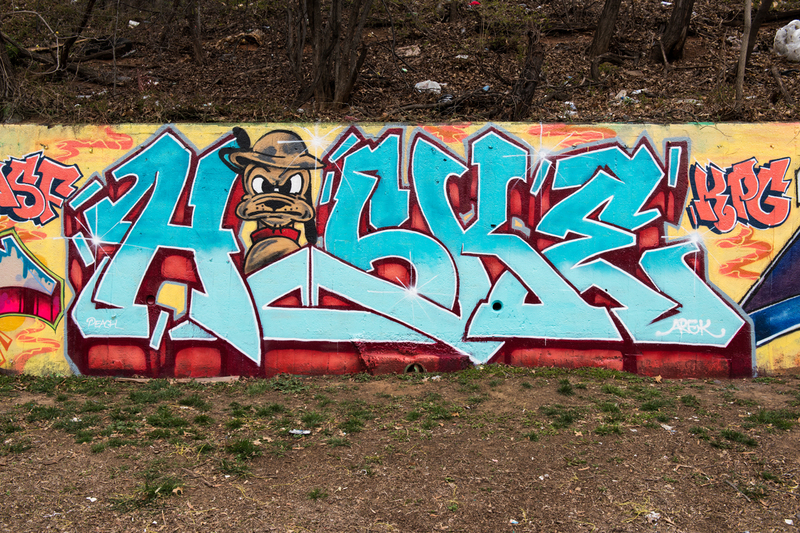 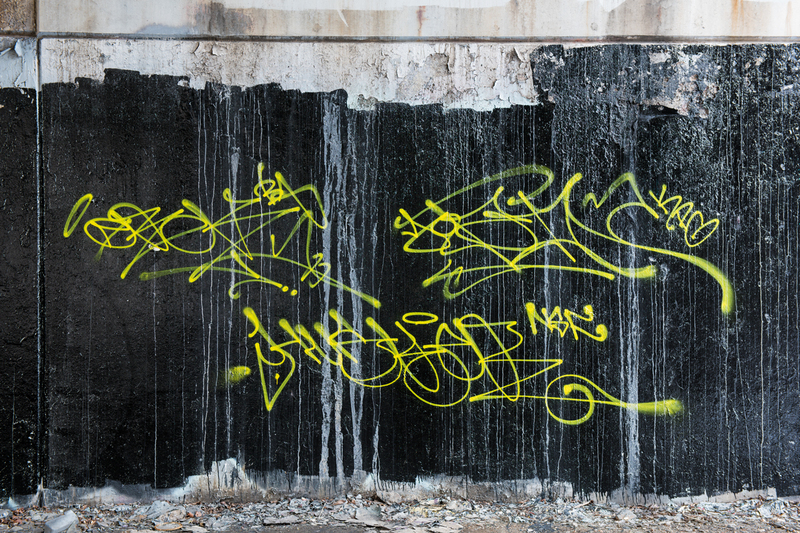 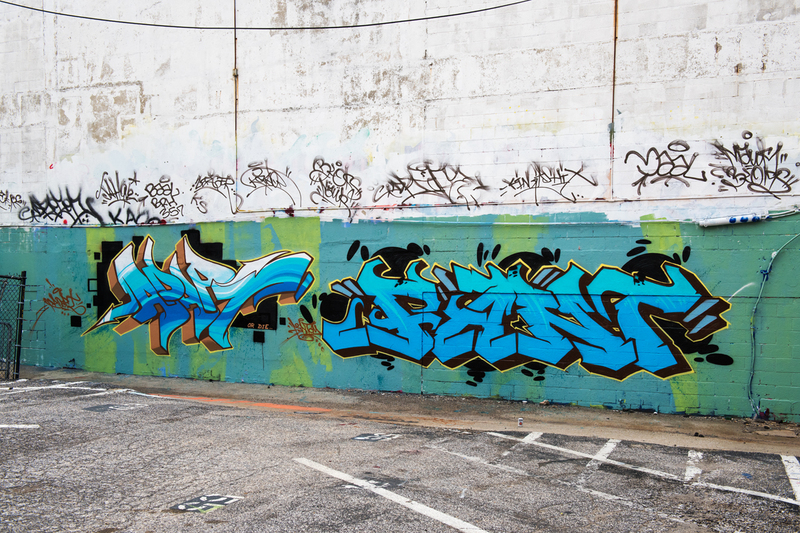 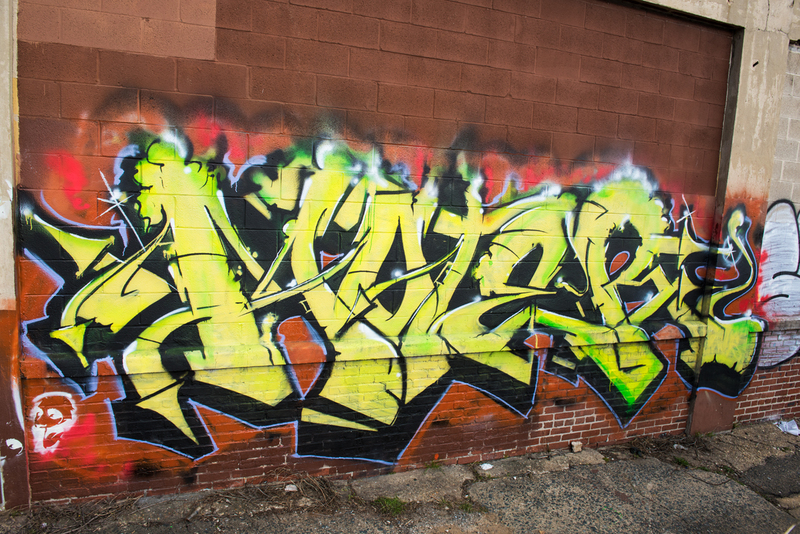 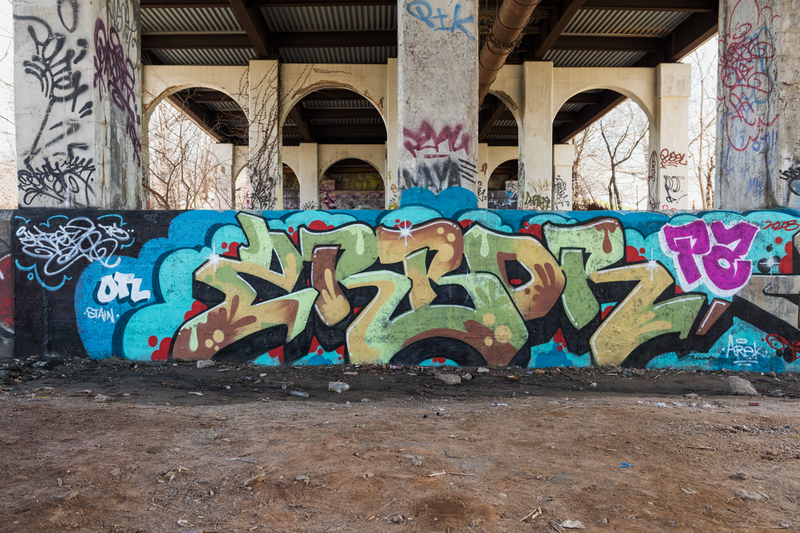 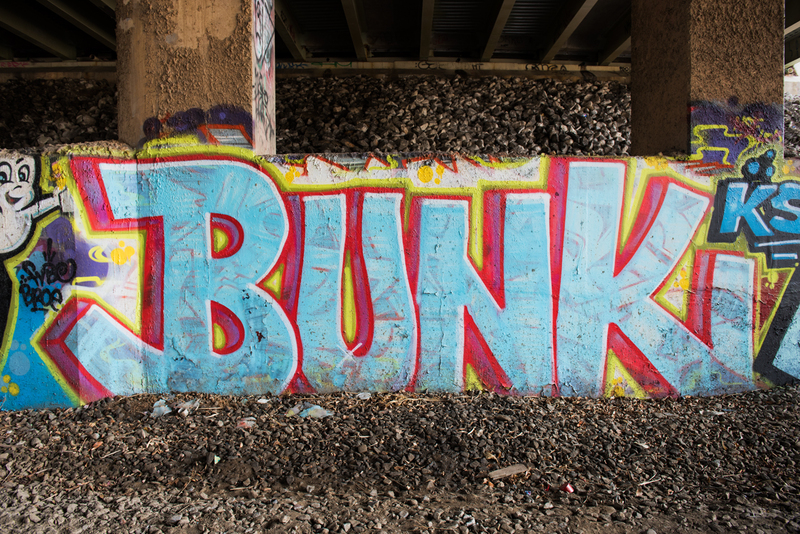 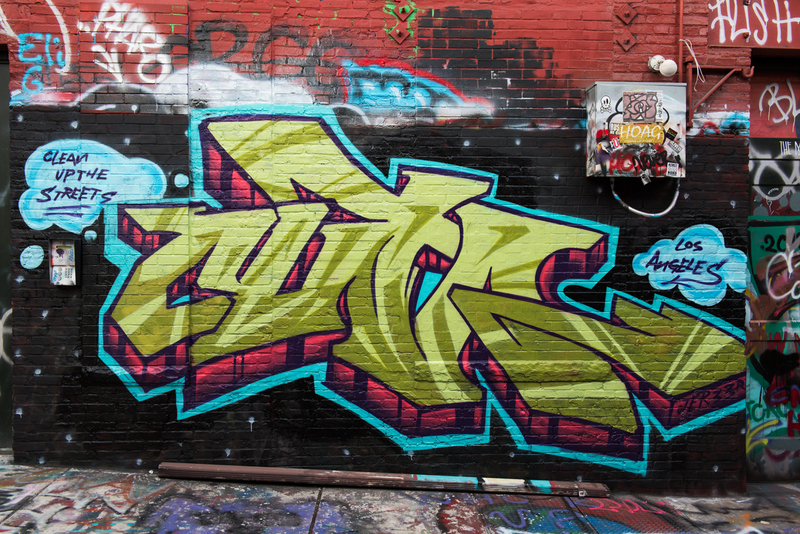 These three dope burners by Rok, Ruste and Meca provide a quick recap of the Mad Science report Charm City Streets wrote earlier this month. 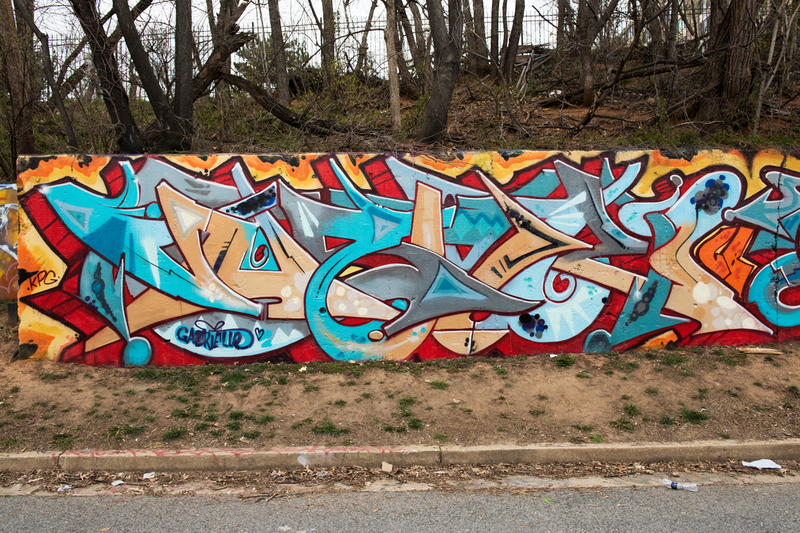 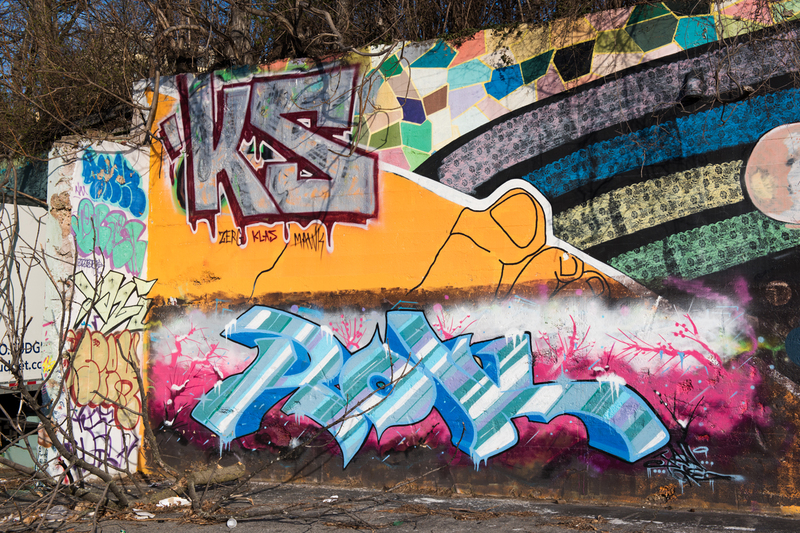 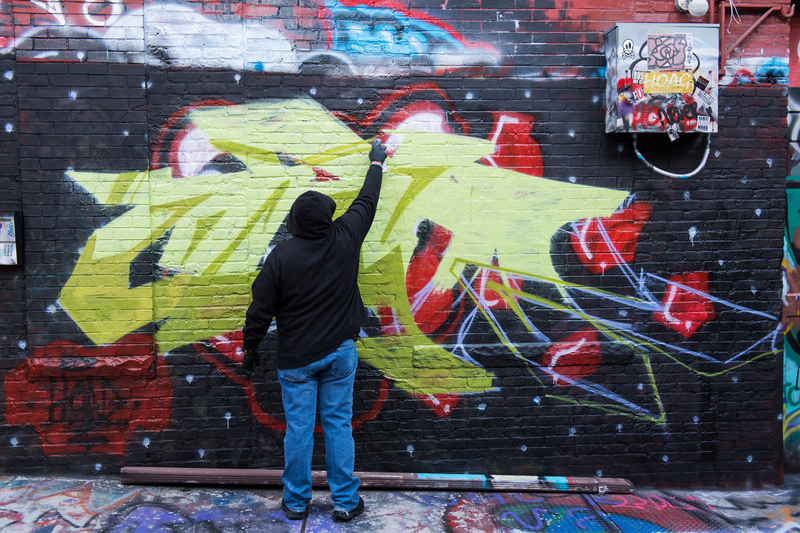 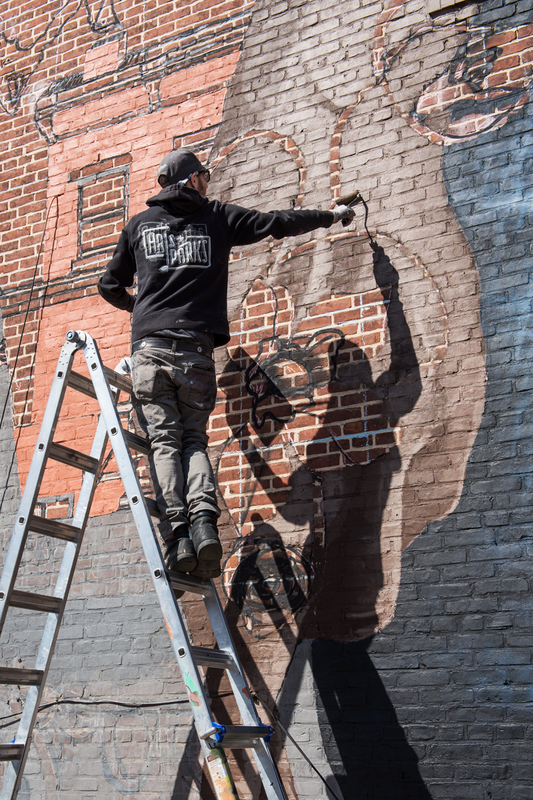 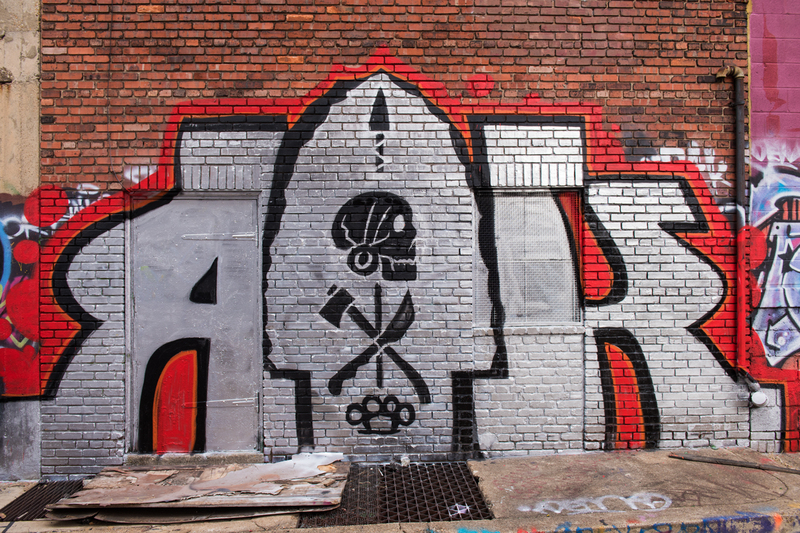 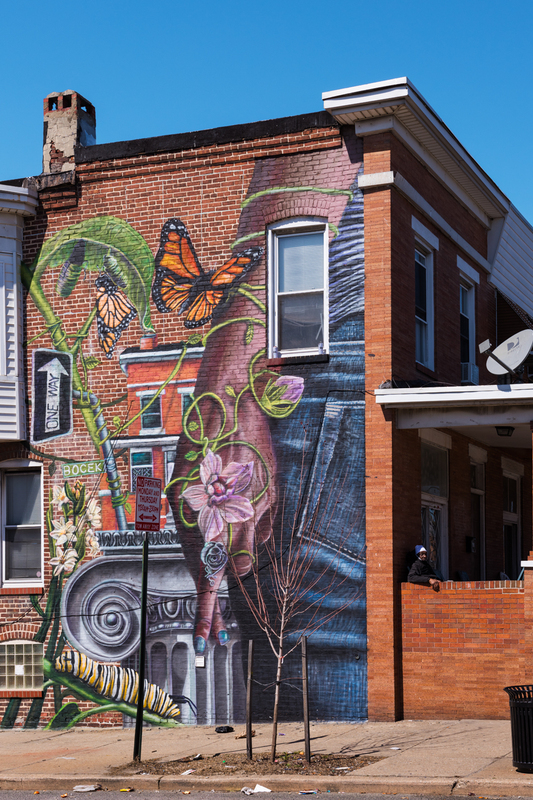 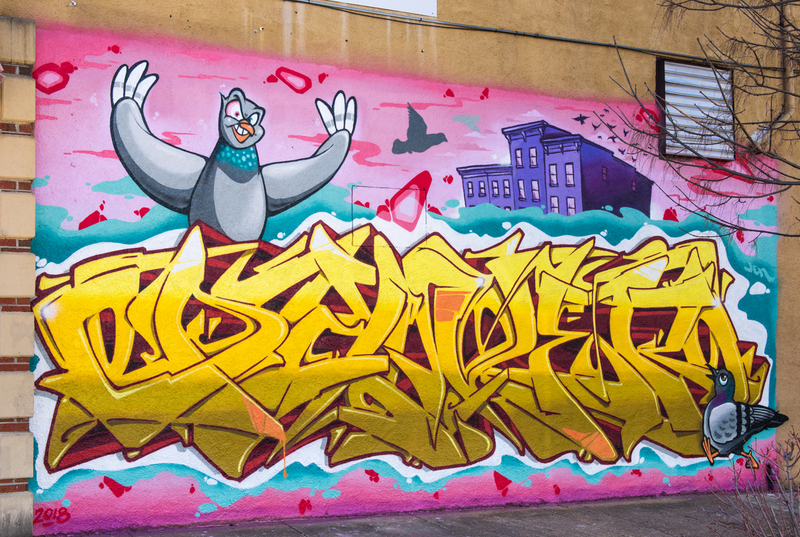 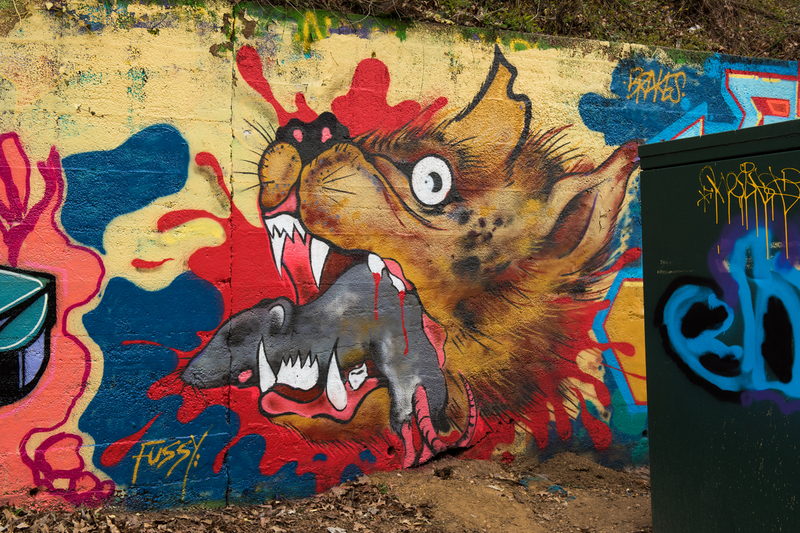 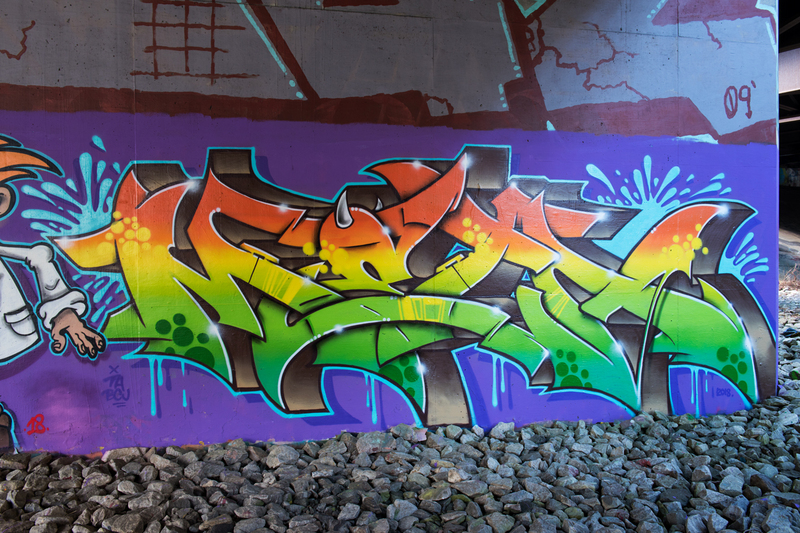 Nether completed his sixth Arts+Parks mural in the Bocek Park neighborhood. 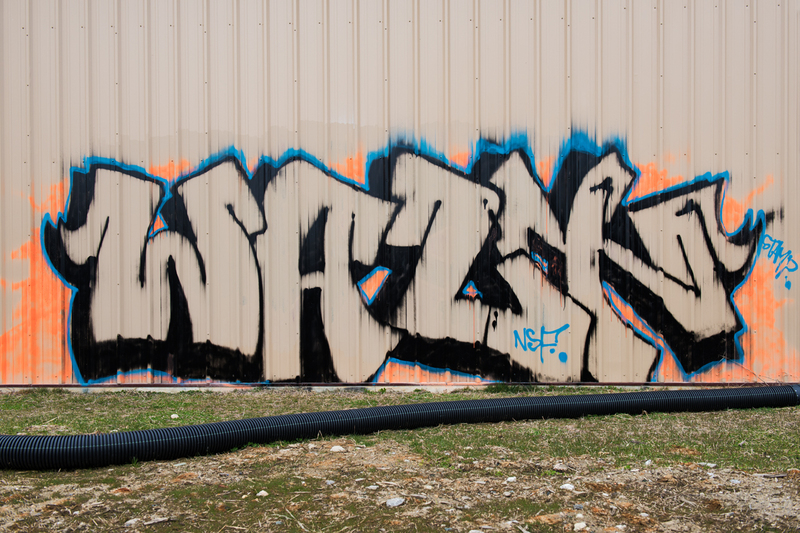 The lucky guy is now planning a spraycation in England. 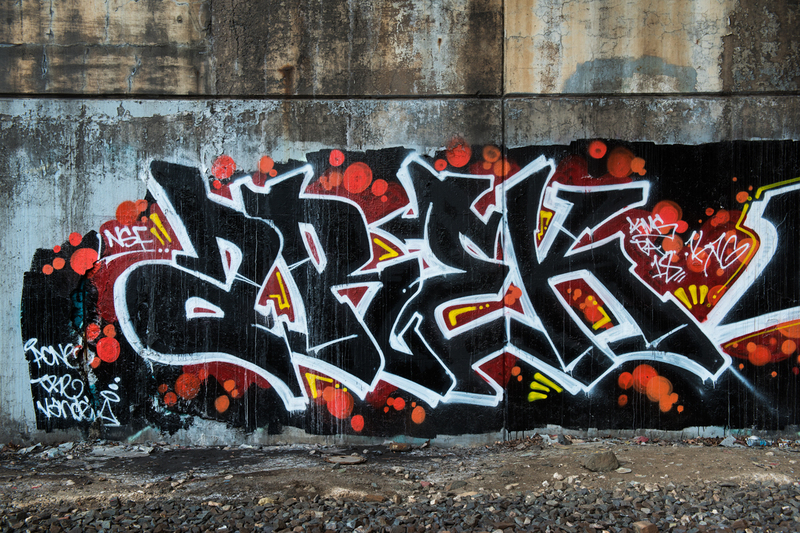 I wonder if he needs a paint sherpa. 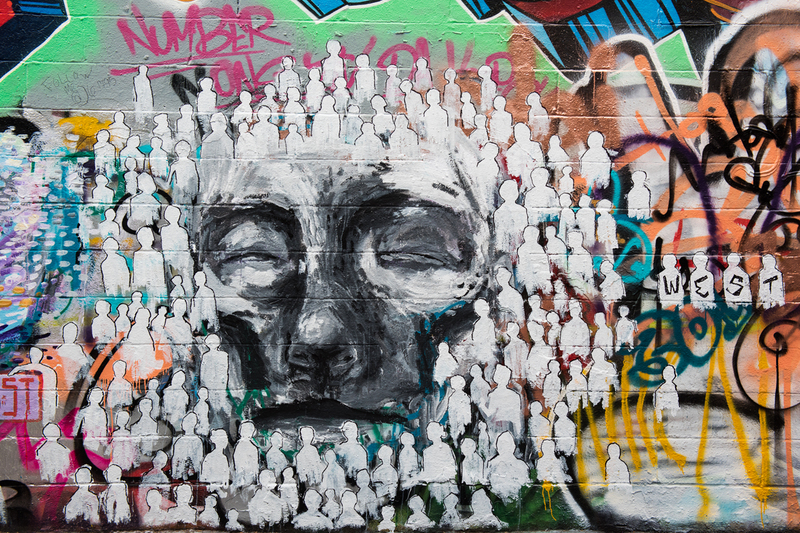 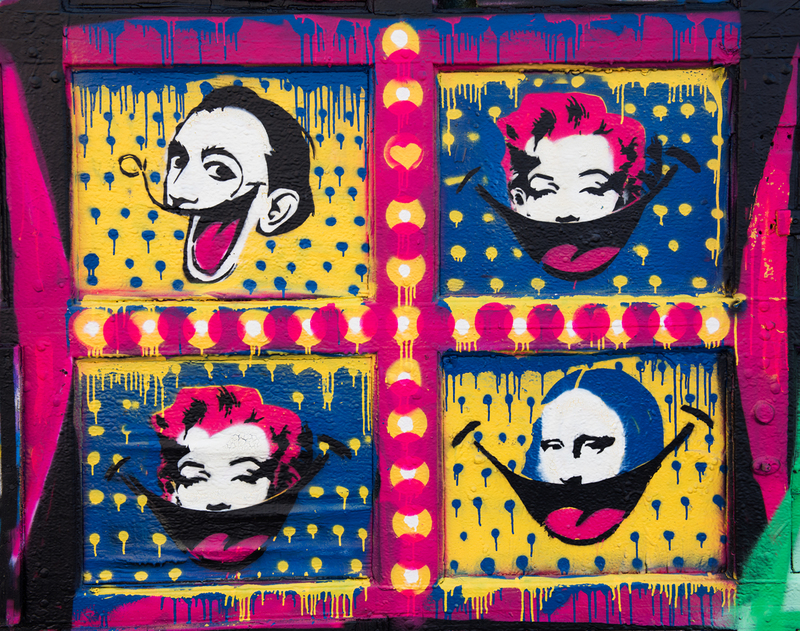 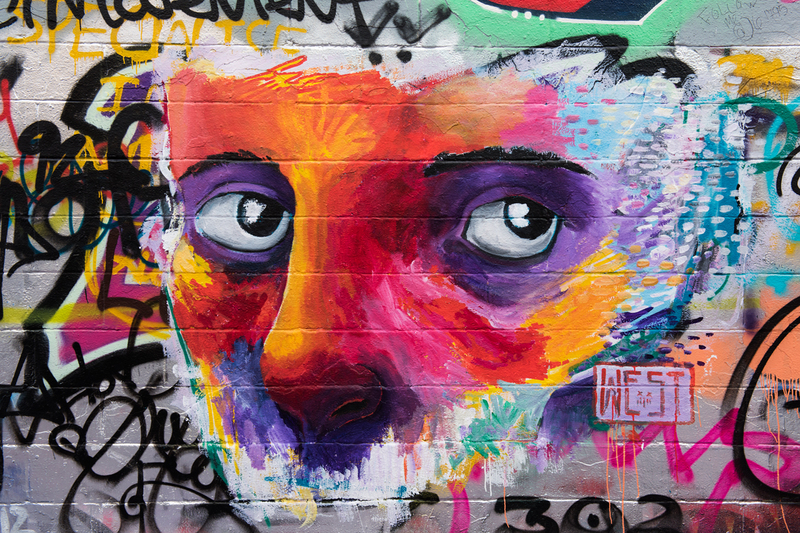 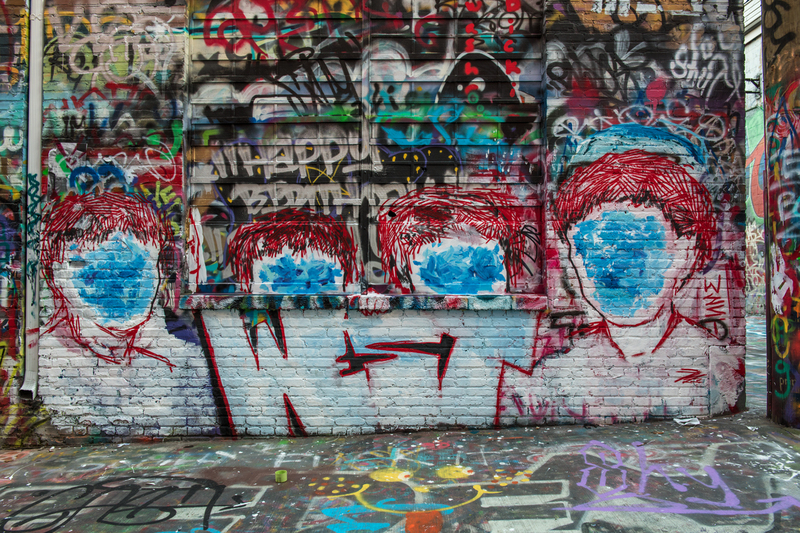 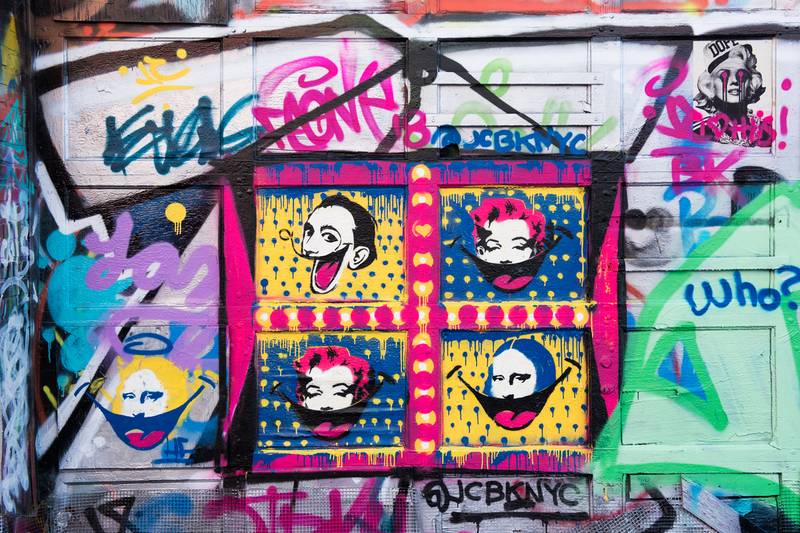 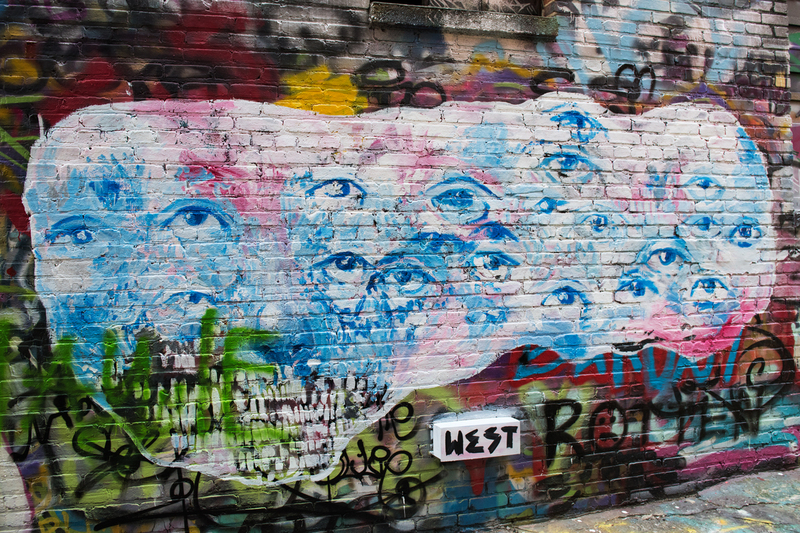 I am digging the mesmerizing portrait work by @thedeadpiratewestley that regularly appears in Graffiti Alley. 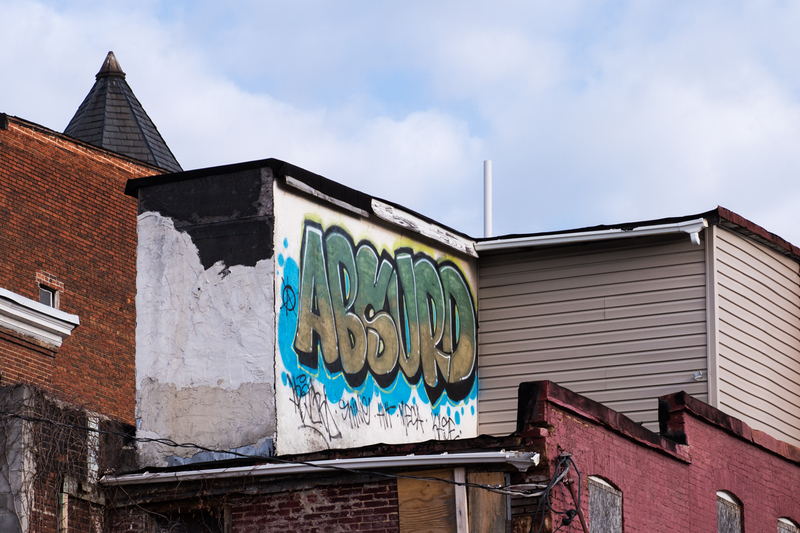 Absurd found a heavenly spot. 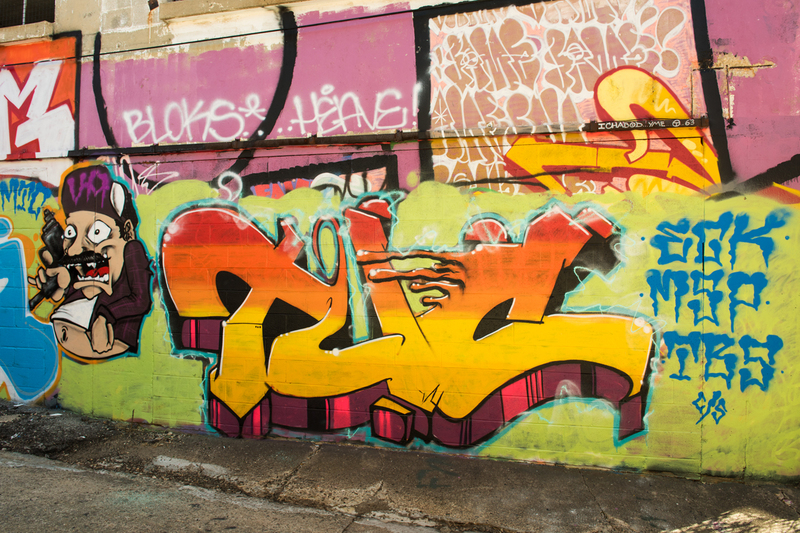 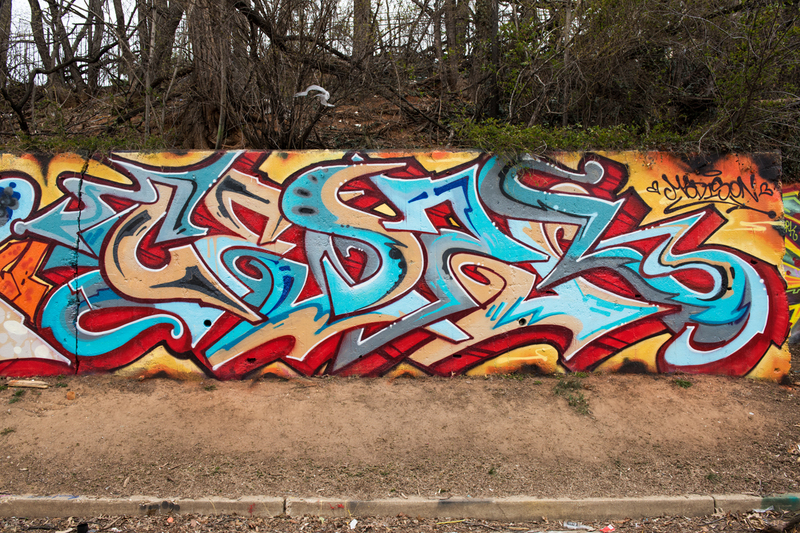 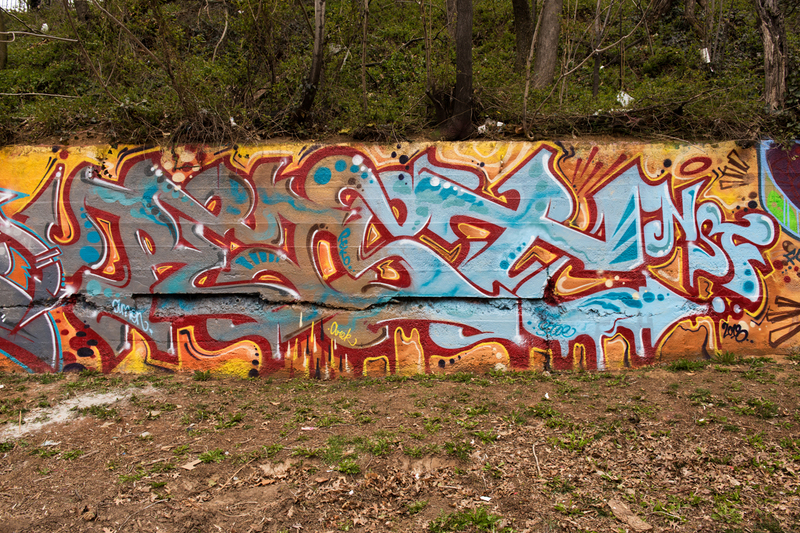 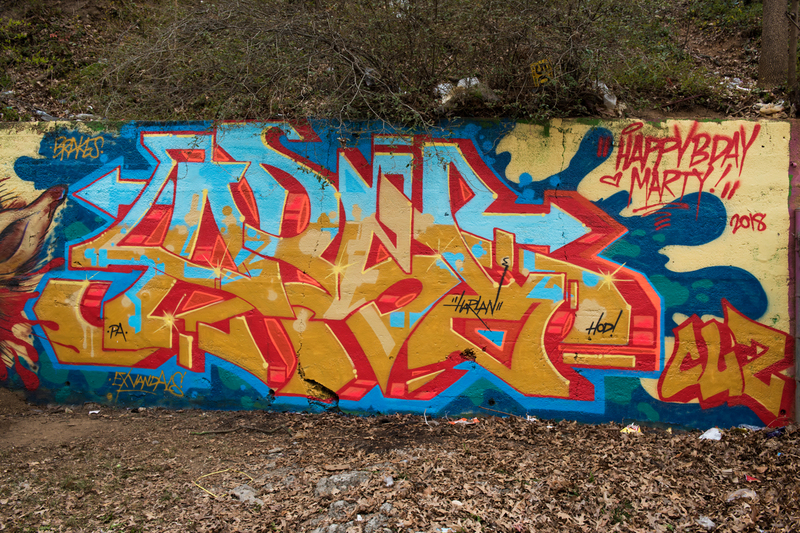 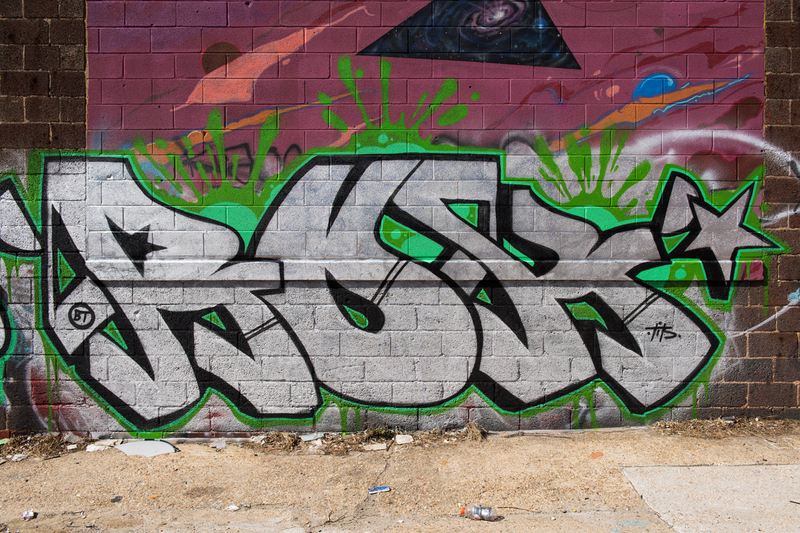 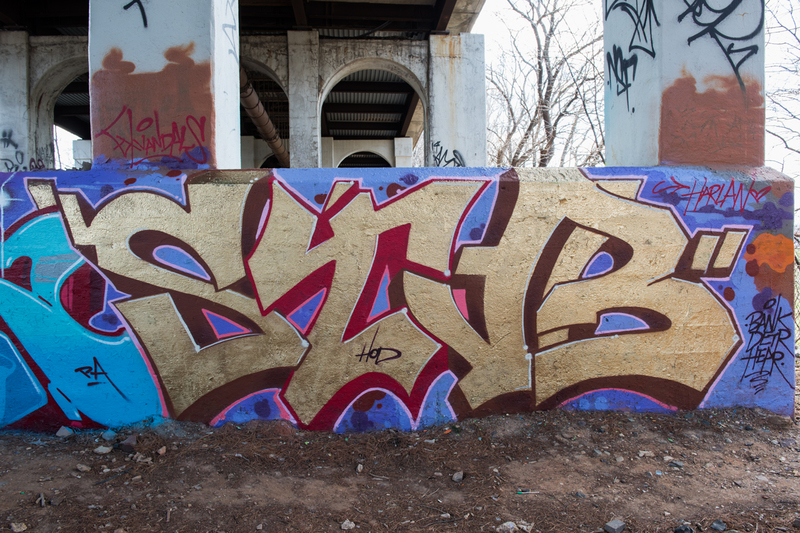 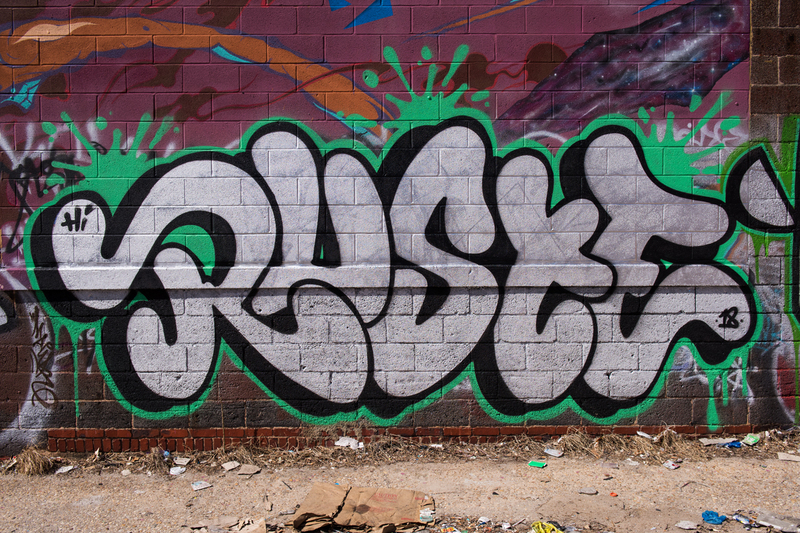 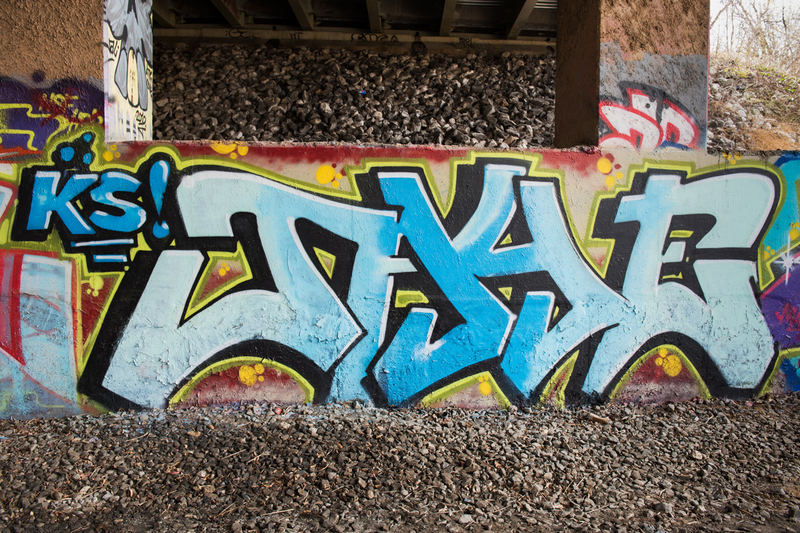 Huske, Skizm, Userp and Fishglue made excellent use of down-to-earth walls. 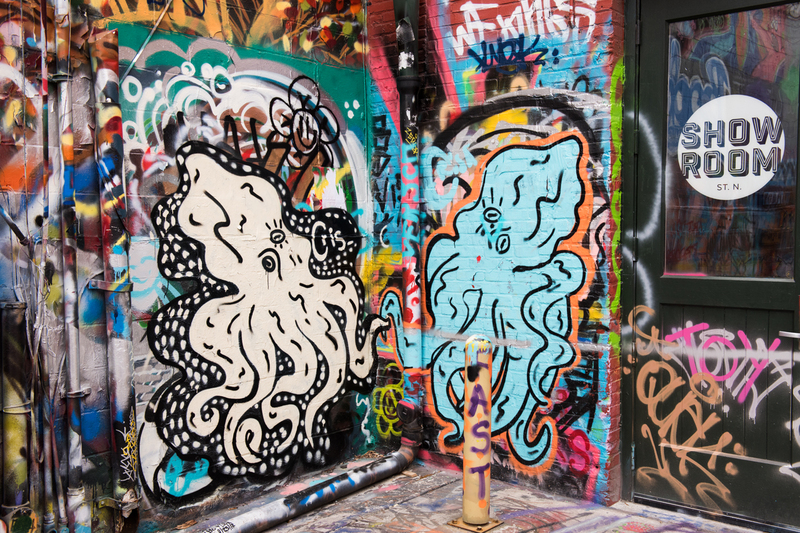 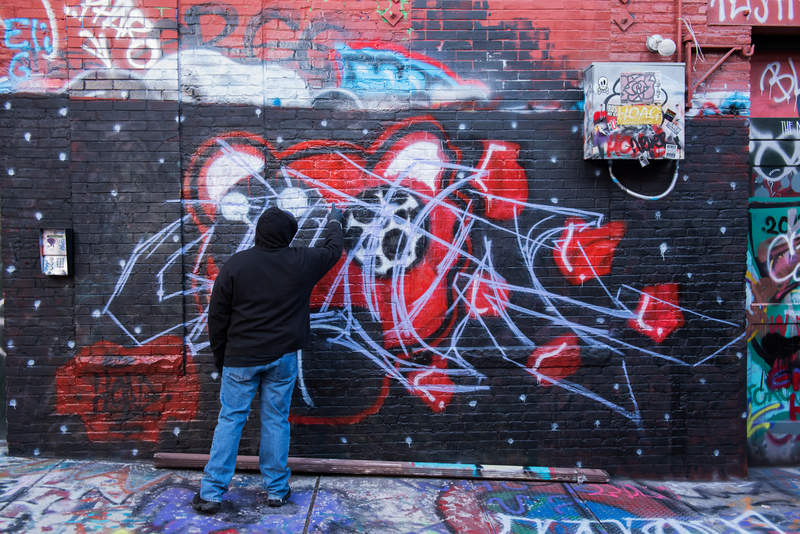 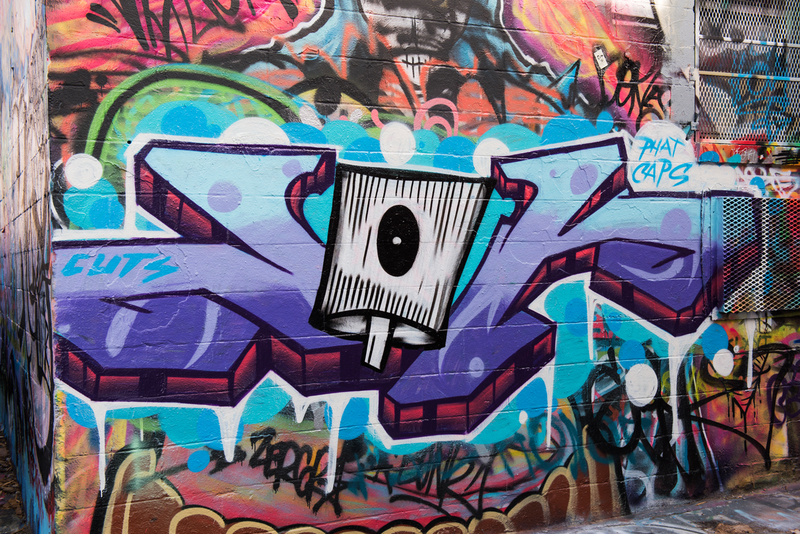 Chris Smith, Nik Nak the Artist (@chillohaus) and some octopi provided a bit of whimsy in Graffiti Alley.